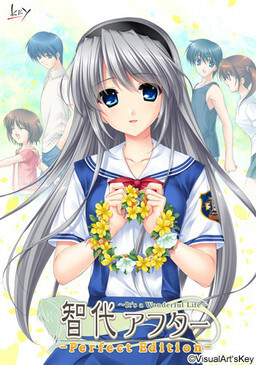 Tomoyo After's story revolves around Okazaki Tomoya and Sakagami Tomoyo. 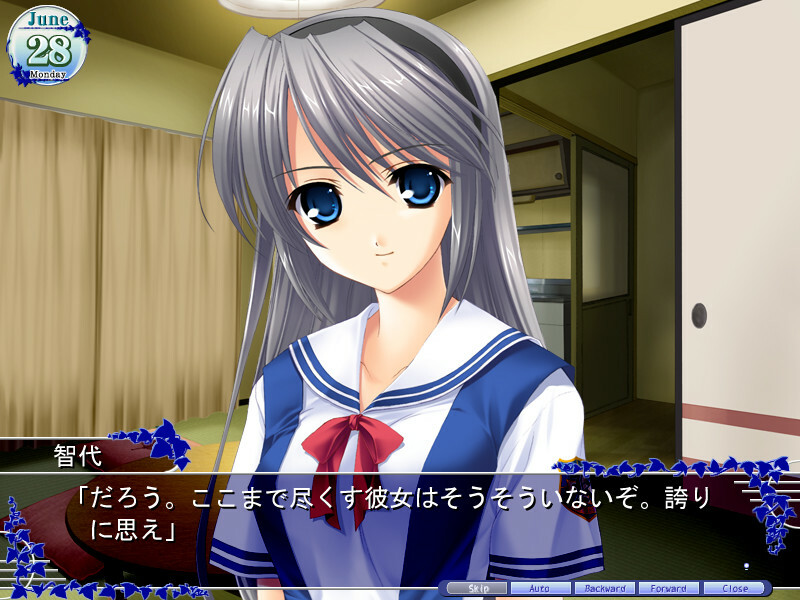 Tomoya has graduated from high school and is now employed as a garbage collector. 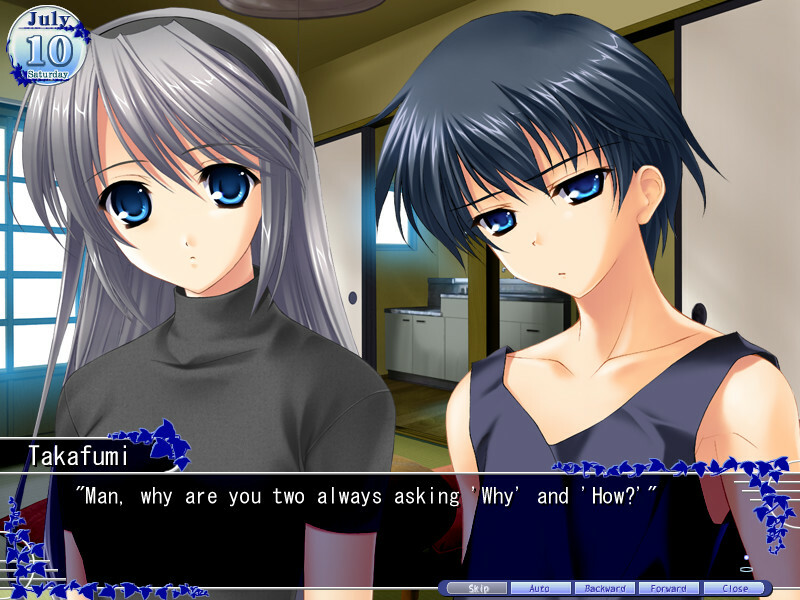 He and Tomoyo are now seeing each other in a romantic relationship, though Tomoya lives alone in his apartment. 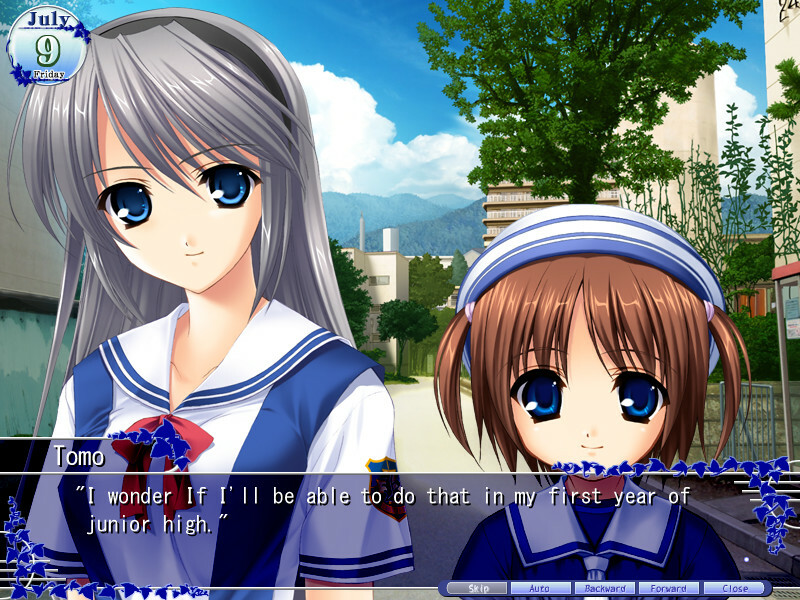 One day it is discovered that Tomoyo has a younger half-sister named Mishima Tomo who had been living with her mother, but was recently abandoned. 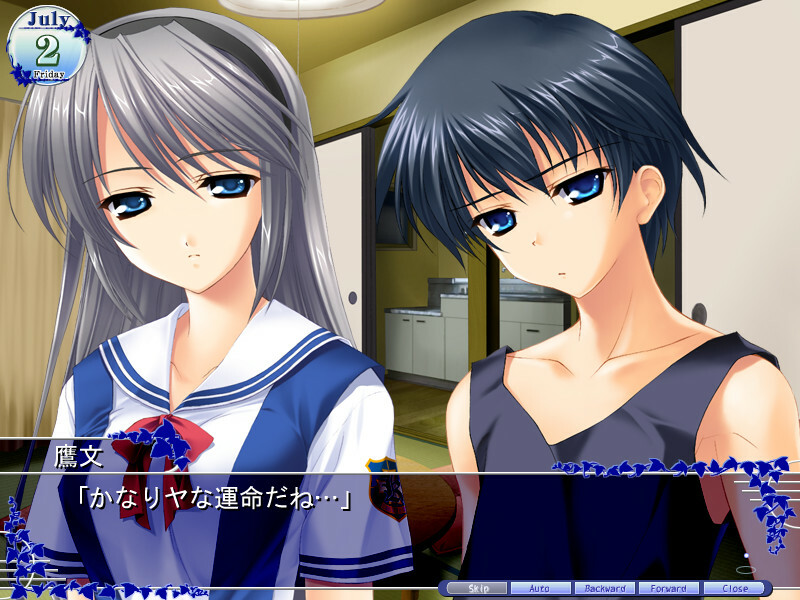 It is eventually decided that Tomo will live in Tomoya's apartment for the time being. 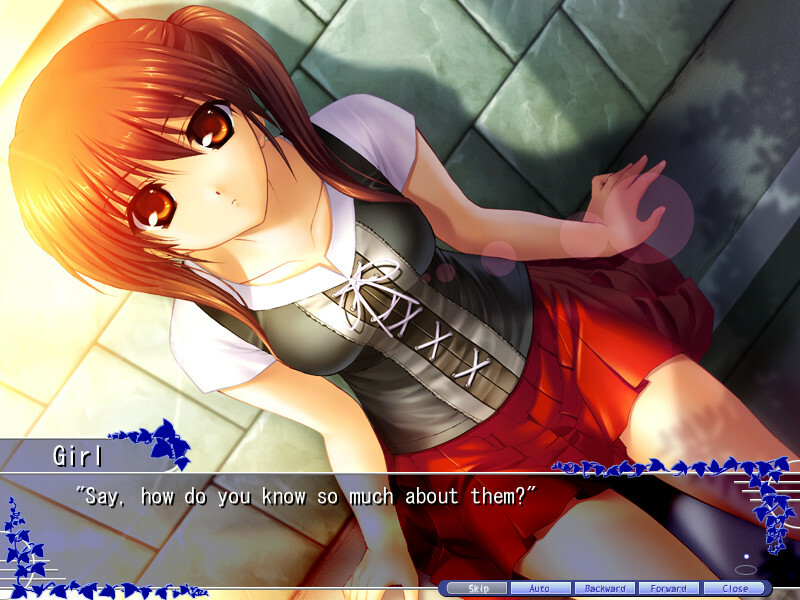 Beside the Adventure part that makes most of the game, Tomoyo After also has RPG elements. In order to complete the game entirely, the player must finish eight of the mini RPGs games called "Dungeons & Takafumis" which are available during certain scenarios as the player continues to play the game. LiaOP "Light colors", ED "Life is like a melody"